...that when you've heard one performance of a work, that becomes "the" performance for you. And when you've heard a book read by the incomparable Frederick Davidson (a.k.a. David Case) that reading becomes "THE" reading. No other performance will do. 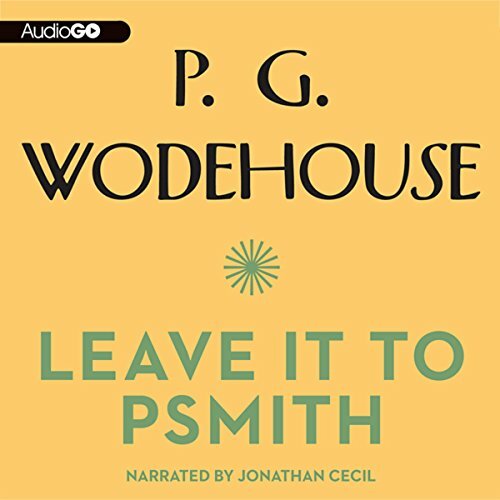 Such is the case with this particular recording of Leave It To Psmith. As I listen, I am constantly reminded of how much more juice Davidson got out of that line. And that line, too. And the next one. Golden moments of irony or innuendo are passed up. Sentences seemed rushed through. 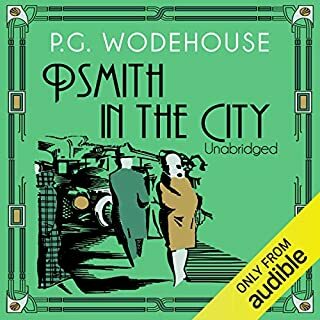 The character of Psmith--a Wodehouse creation of the first rank, standing with Ukeridge as among his most engaging and unique--simply sits there. His lofty unconcern for his circumstances, his unconquerable gift for persiflage in the face of every challenge, are simply not expressed in Jonathan Cecil's vocal portrayal. Then there is his diction. Simply put, the ends of words seem to be missing. Final s's are nonexistent. Ending syllables evaporate. There's a fault with Cecil's enunciation or the recording is faulty. Either way, it's annoying and distracting. 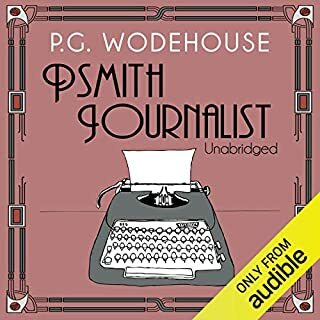 It's sad because Leave It To Psmith, though often overlooked or underrated, is really one of Wodehouse's very best efforts. What to do? The cry goes round the clubs: shall this Psmith be returned to store? Yes indeed. 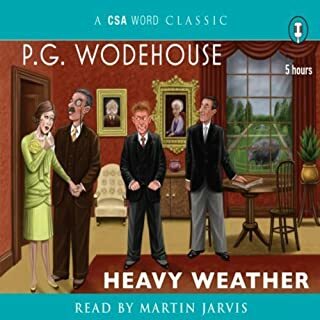 I'm only in the middle of chapter 2 but I give up...and patiently await the day when Audible will be able to give us a wider selection of Frederick Davidson's performances from the Wodehouse shelf. Can I give this a 10 stars? So funny, the narration is a superb performance. I finished the book and went right back to re-listen. Did I say very funny? 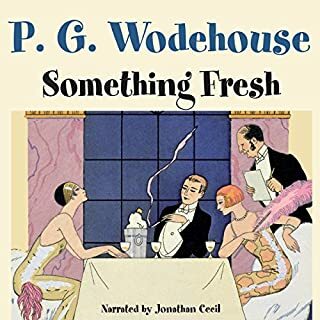 If you're a fan of this sort of thing, the beautiful language, absurd situations, wonderful caricatures, and extremely mild plot line, then you can't find better than Wodehouse. I wish there were a thousand of these stories. Extremely witty, fantastic narration, classic. I loved the book from beginning to end and laughed out loud. The Perfect Mix of Classic Wodehouse Tropes? [x] ... I could go on, I really could! But you get the point. I'm having a little fun but I really did enjoy this one. I wish it hadn't wrapped up quite so quickly, there are some definite loose ends. 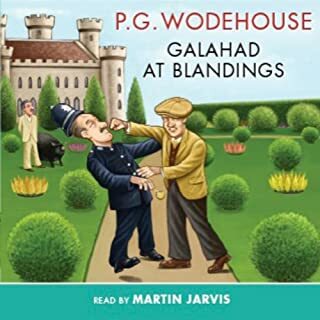 This little number was one of the most adroitly plotted frolics Wodehouse produced. Trying to untangle the yarn would only spoil it for a listener who has not yet had the pleasure of hearing it. 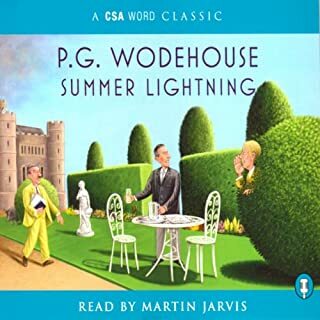 I will just say it was a very fun non-Jeeves/Wooster tale to lighten the day and Jonathan Cecil did an excellent job of narration. Jonathan Cecile Reading PG Woodhouse is the Best. I loved the twisting, humurous adventure. As with any Woodhouse, the wit is fast, the humor flamboyant , and the story twisting everywhich way. From poets to robbers, the aristocracy to I'm posters this book has it all. Even fish, which are rather distasteful. You will understand what I mean when you finish it. Another very enjoyable audiobook. Narrator is excellent. Story is funny but also intriguing. I plan to listen to this book again.